The Facebook page of Baahubali Movie has released a new photo of Prabhas from Baahubali. 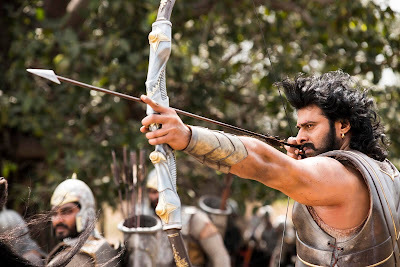 It's a cool pic showing Prabhas deeply concentrated in his aim, the arrow held taught between the bow and his index finger, his hair ruffled in the wind and his biceps huge and strong. 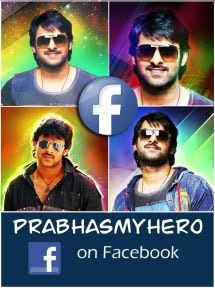 This quote which i found on the net seem to be aptly suited for our Darling and especially for his tremendous hard work in Baahubali. My Aim is Accurate, because I have trained it. My Mind is Sharp, because I have honed it. My Body is Strong, because I have pushed it. I Have Earned my Skill with Sweat and Blood. I am not just a Warrior, I am a Weapon! Isn't it quite apt for our Darling?